National news stations have been using social media for several years. Twitter was one of the first social media platforms to be used in spreading news. When journalists noticed how fast important information traveled, not just locally, but around the world, social networking became a standard connection for media outlets. News outlets that adopted social media early had great results. More people are connected via social media and the numbers have been rising each year. Mobile phones have created another way to users to instantly connect with their ‘friends’ or pages they like or follow. There’s no need to be at home or on a computer to get your news fix. So, how are news stations dealing with the social media frenzy that is Twitter, Facebook, Google+ and more? Local news stations often take their ideas from large, national stations. 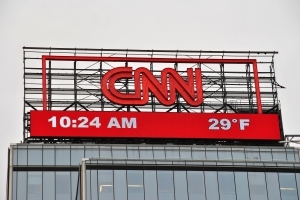 If CNN is having a lot of shares or likes on their social media pages, smaller local stations can take a cue from that. Many people prefer to keep up with local news online; some websites can be hard to navigate or slow to load. Social media sites are often easy to load even on slow connections, so people can glance at a station’s Twitter feed or Facebook page to find out the top news stories quickly. Social networking allows the faster spread of news by incorporating links that people can share with their own network. The news shared by a local station can quickly become national news if a story becomes viral. This can be a great thing for a small news outlet, or in some recent cases where an anchor made a mistake- very negative exposure can occur. Local news stations usually use Facebook or Twitter, though some are now using Vine (a Twitter application) to make short videos. Static websites are becoming less popular compared with the social platforms. Blogs are dynamic and can be integrated with social platforms. Chatting and forums are losing ground to social media – chat rooms are a dying breed, replaced by Facebook groups. While a website may have thousands of visitors a day, with social sharing a story can be shared to fans of a social account, then those fans share the story to their friends, and so on. The reach of social networking is global. Who Is Using Social Media? How? A news station may have their own main account. From there anchors may have their own ‘pages’. It is increasingly popular for every staff member that has a public image to have their own accounts. They can interact with their fans and answers questions. The most popular anchors are interacting with their fans daily. Stories do not need to have a high amount of SEO as on regular websites or blogs. All anchors need to do is their job – engage with fans and tell the story. Of course it doesn’t hurt for the story to be interesting, but the best anchors will use social media to connect with fans, locals, and find out just what their fans want to know in the news. About the Author: Tina Samuels writes on social media, Gary Crittenden, small business, and healthcare.